Gardens British Columbia is a coalition of public gardens working together to promote British Columbia as a tourism destination for garden visits and experiences. The group was looking to relaunch with a new name and identity, with other collateral and a website to follow. The organization had been doing business as the ‘British Columbia Garden Tourism Coalition Society’ for a few years, but wanted to launch their new brand platform as the more friendly Gardens British Columbia—casually known as Gardens BC. In addition to the new identity, I also designed a brand standards guide, brochures/rack cards and a robust new website that focuses on the diversity and beauty across British Columbia’s gardens with tourists as the primary audience and locals as a secondary audience. You can see more of the Gardens BC website here. Working with Destination British Columbia, the group completed an internal brand strategy to guide the rebranding process. 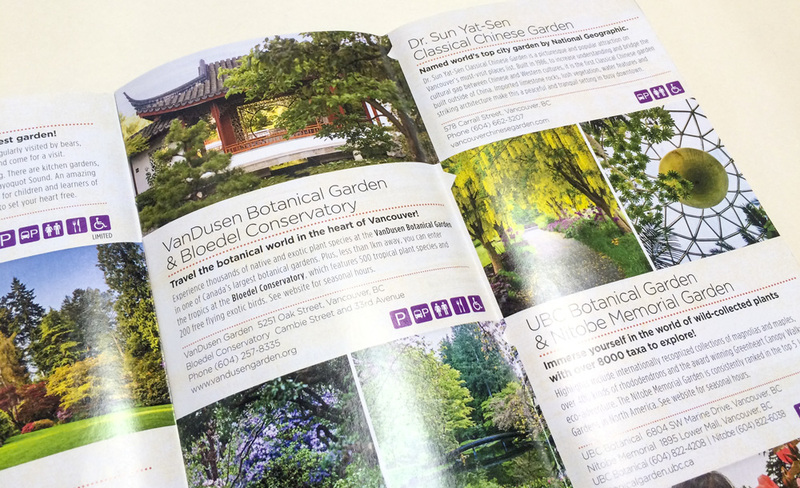 Gardens BC’s marketing committee members include marketing and communications people from the world-famous The Butchart Gardens, Dr Sun Yat-Sen Classical Chinese Garden, and UBC Botanical Garden, so it was great to be working with such a diverse mix of people who really know their market. I reviewed garden organizations across Canada and around the world to see what existed in this space, and worked closely with the marketing committee to discuss directions for the new identity. I presented sketches of different concepts, agreeing to move forward with three of them for further investigation. In the end, a text-only wordmark was selected because the logo has to live in close proximity to robust photography, and the group wanted to ensure the logo’s clarity in all circumstances. I also launched a fully-responsive website with a complete province-wide garden directory and trip suggestions. You can see more of the Gardens BC website here. Print and digital ads have been created to assist visitors in trip planning, shown in examples below. Gardens British Columbia logo on white, and the reversed-out logo on charcoal grey. 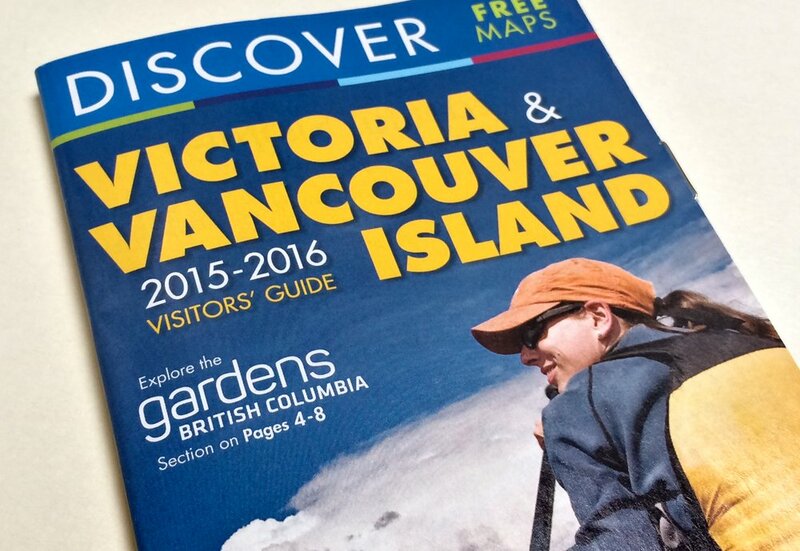 Discover Victoria and Vancouver Island rack card with 6-page ‘Explore the gardens of British Columbia’ feature layout; the Gardens BC logo appears on the rack card cover. 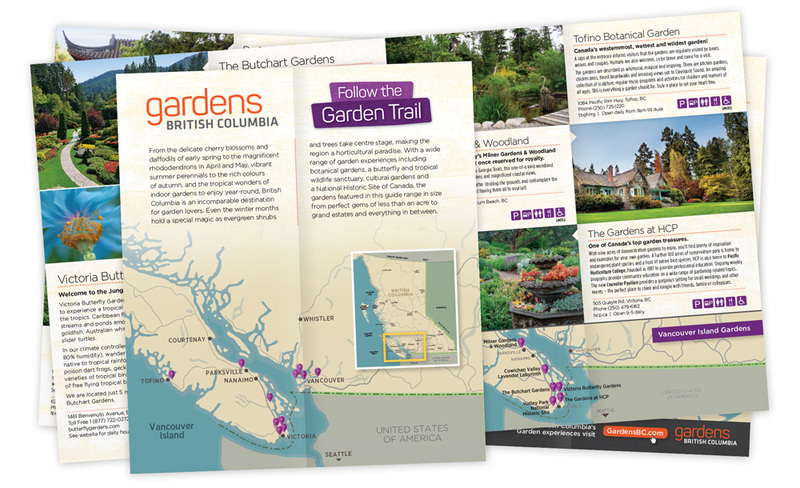 Flat digital version of the Discover Victoria and Vancouver Island rack card opened up to feature the 6-page ‘Follow the Garden Trail’ guide. ‘Follow the Garden Trail’ feature layout opening spread. 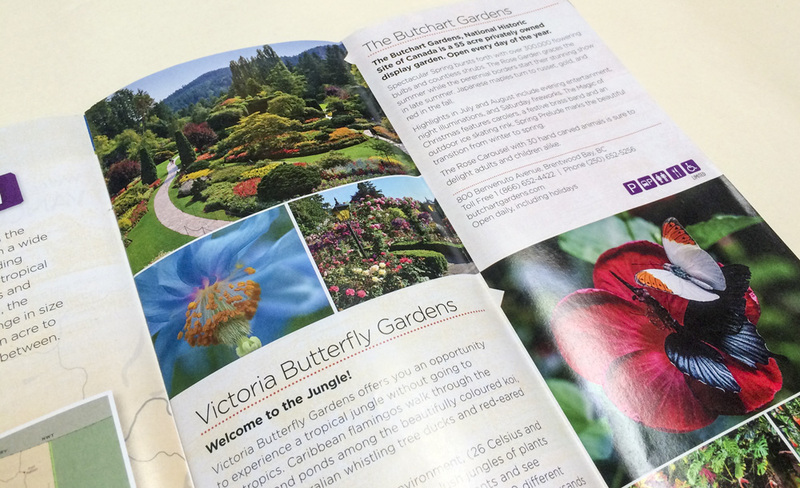 ‘Follow the Garden Trail’ feature layout following spread featuring Lower Mainland gardens. The Gardens BC logo on the website. Visit the website at GardensBC.com. 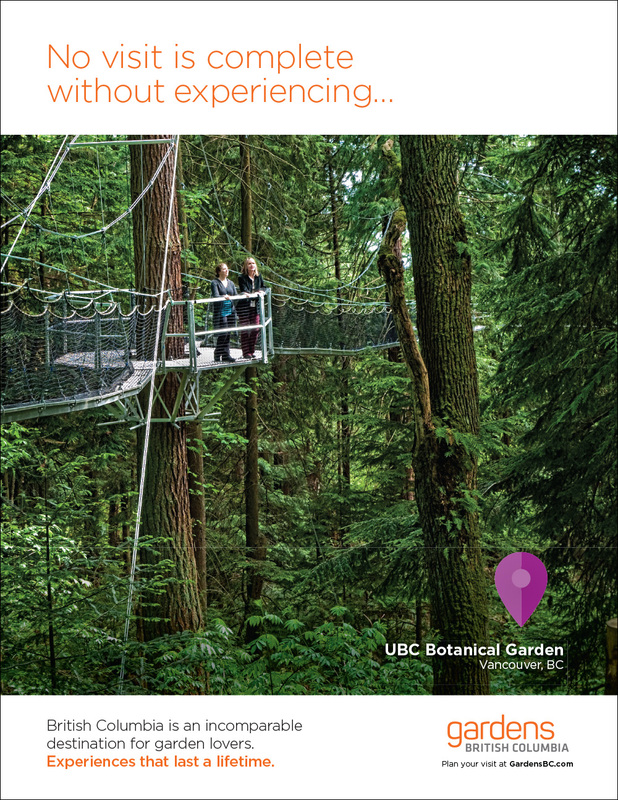 Magazine Ad featuring UBC Botanical Garden’s canopy walkway experience. 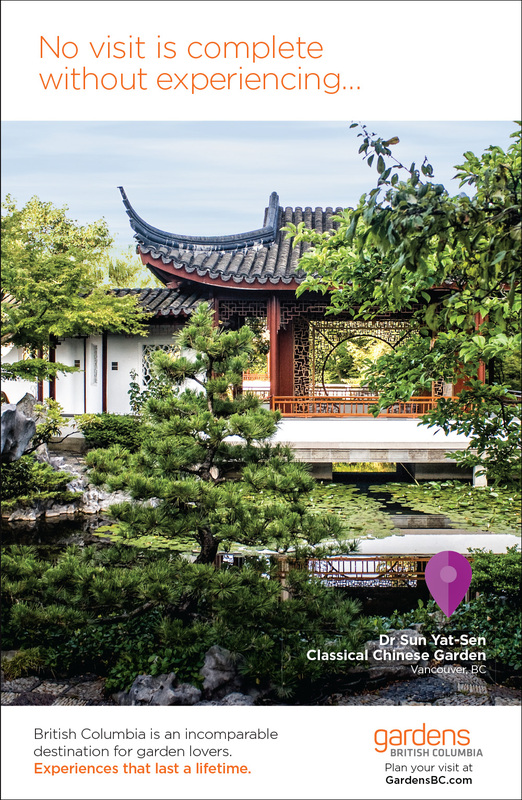 Magazine Ad featuring Dr Sun Yat-Sen Classical Chinese Garden. 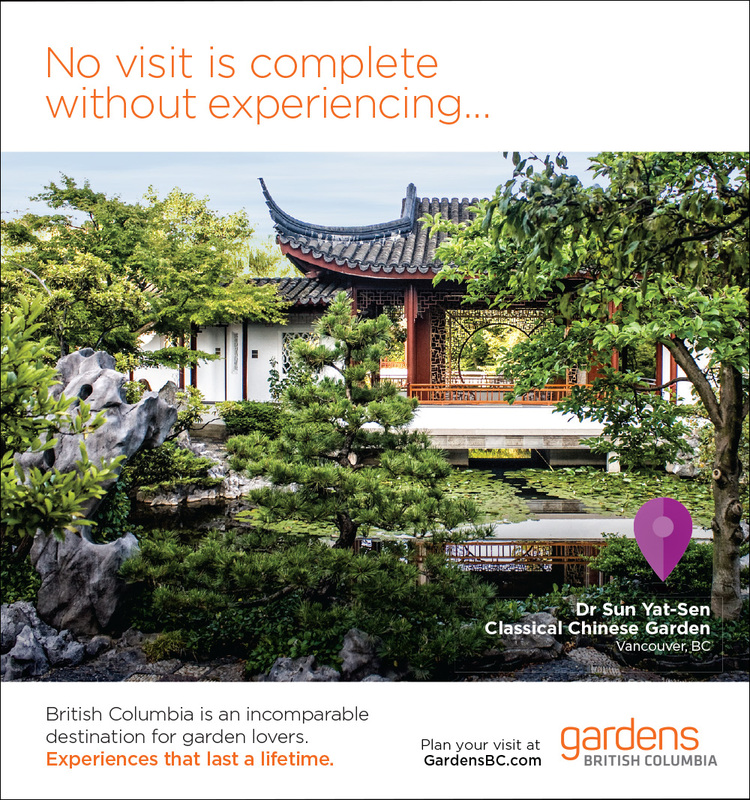 Vancouver Magazine 1/3 page Ad featuring Dr Sun Yat-Sen Classical Chinese Garden. All work copyright Gardens British Columbia and their respective owners.